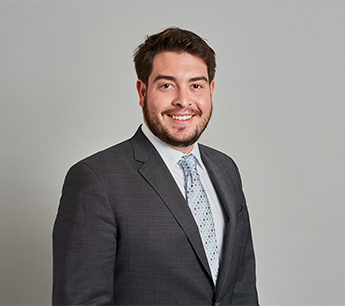 Bradley Some is an Associate in RKF’s New York office. He joined RKF in 2013 as part of the canvassing team in Los Angeles and worked to update brokers on new listings, prospect relevant trade areas and collect market information. In his current role as Associate, Bradley focuses on landlord and tenant representation in Southern California and New York. Bradley currently works on behalf of several retailers, including Chick-fil-A, Social Entertainment Ventures, Bibigo, Tous Les Jours and many more. Bradley has also worked with Chipotle Mexican Grill, Nothing Bundt Cakes, Five Guys Burgers and Fries, The Joint Chiropractor, Einstein Noah’s Restaurant Group, Vineyard Vines, Kriser’s All Natural Pet and Aqua-Tots Swim Schools. He formerly worked with The Halal Guys on the brand’s expansion throughout Los Angeles County. He continues to represent small restaurant brands in Southern California, including SpinFish Poke House and Bacaro. Bradley secured Bacaro’s newest site at The Americana at Brand in Glendale owned by Caruso Affiliations. Bradley has also worked with many prominent landlords, including HUBB NYC, Silverstein Properties and Waterman Interests in New York. When in Los Angeles, he also assisted in the merchandising plan and redevelopment for Jamestown Properties’ newly acquired asset in Little Tokyo in Downtown Los Angeles called Brunswig Square securing the first two retail leases at the property. Prior to joining RKF, Bradley worked as a Marketing Associate for CREA Real Estate LLC in Boulder, CO. He generated leads to promote services and, contacted prospects through email communication, direct mail distribution and social media. Bradley graduated with a Bachelor of Science from the University of Colorado at Boulder with an emphasis in Finance and a certificate in Real Estate from the Leeds School of Business. He is a licensed Real Estate Salesperson in the states of California and New York and is a member of the International Council of Shopping Centers.